Rochelle Mayer, Ed.D., has led NCEMCH for 29 of its 35 years, stewarding its transformation from a genetics clearinghouse to an enduring national resource that has been integral in launching key initiatives funded by the U.S. Maternal and Child Health Bureau (MCHB), including the National Action Partnership to Promote Safe Sleep, the Maternal and Child Health Library, the National SUID/SIDS Resource Center, Children’s Safety Network, the National Center for Health and Safety in Child Care, the Bright Futures Program, the Healthy Start National Resource Center, and the Title V Information System. Among her publications are the Advancing Online Public Health Training Systems: Challenges and Opportunities (2016, co-author), Beginning Together: A Diary of Discovery for You and Your Baby and, with Lawrence Kohlberg, “Development As the Aim of Education,” published in the Harvard Education Review (HER) and recently selected as one of 12 articles for inclusion in the HER Classics Series. She holds a doctorate in education from Harvard University. As Principal Investigator, she has directed over $80 million in university-based research and education grants relating to policy formulation and program development in the delivery of health services. She has served as editor of Educating Children for Democracy, the professional journal of the International Step by Step Association, and as program evaluator for the Center for Intercultural Education and Development. 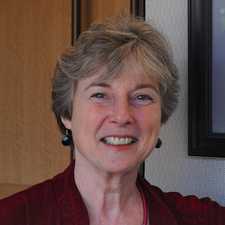 She was co-director of the Commonwealth Fund Project on Pediatric Care Linkages for Developmental Services (2004–2006). Prior to coming to Georgetown University, Dr. Mayer served as education director of the Infant Health and Development Program at Harvard University and Children’s Hospital in Boston, Massachusetts and as research psychologist at Bank Street College of Education.